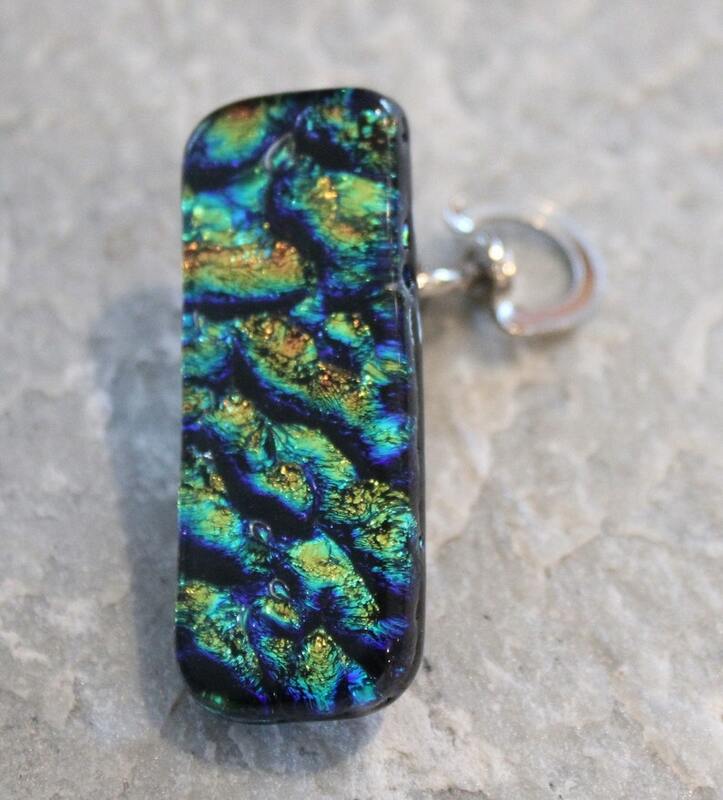 This Dichroic Fused Glass Key Chain Clip is a one of a kind Accessory. You can attach your key chain to this piece and with the clip, secure your keys to your purse or wherever you would like to store your keys for easy access. I use only the highest quality materials and made this piece in my art studio in California. I fuse multiple layers of glass together in my kiln. Then with great care and artistry, I shape this unique piece and round the edges before re-fusing the piece in the kiln to give it a fine polished appearance. This piece is properly annealed for strength and durability. The Dichroic clip exhibits a vast array of color depending on the angel you view it in. The depth and variance of color and patterns are especially visible when light shines on the piece.